Your child will get to learn early STEM skills while playing and having fun. Botley teaches the basics of coding through active play- completely screen free. Perfect for promoting critical thinking and problem solving skills. Ready to use, right out of the box. Botley has already made his mark! He’s been named “Best of CES” by Reuters, a finalist for 2019 Innovative Toy of the Year Award from Toy Association, “Best of Toy Fair” by Parents Magazine, earned 8 industry awards, and appeared on TODAY…all in 2018! 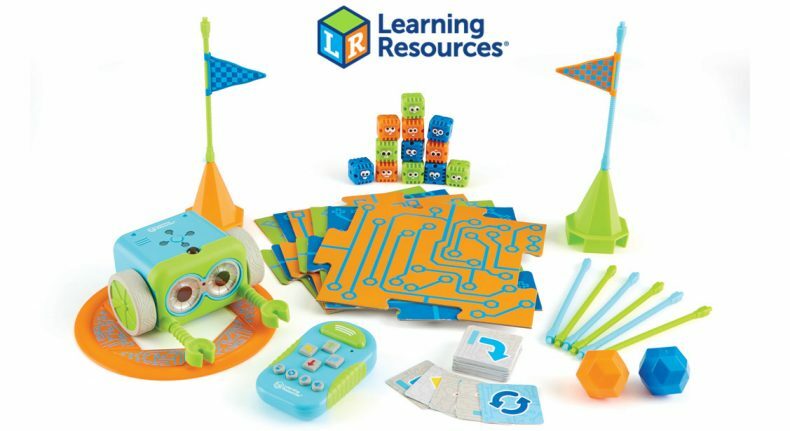 Kids learn essential coding concepts through screen-free, tactile play. Botley can detect objects, be programmed for if/then logic, follow looping commands and take on obstacle courses that kids build themselves. He also has a black line follow mode and hidden features to unlock! Botley has nearly 150 five-star reviews on Amazon and is available at Walmart and Best Buy!